The Santa Fe CrawlGuard Total Encapsulation Solution is one of the most effective moisture management systems for crawlspaces on the market today. 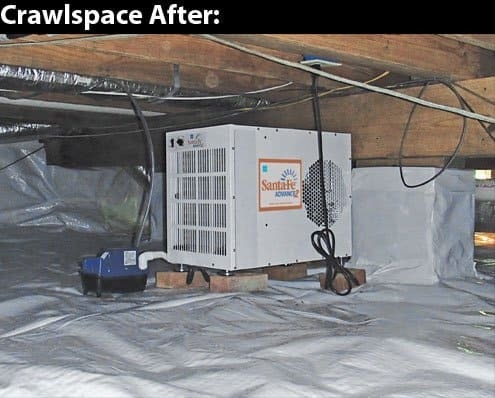 Sealing off a crawlspace and removing excess moisture by using the Santa Fe CrawlGuard Total Encapsulation Solution will help control pests, improve overall indoor air quality, protect your home against structural damage caused by moisture, and reduce your energy bills. 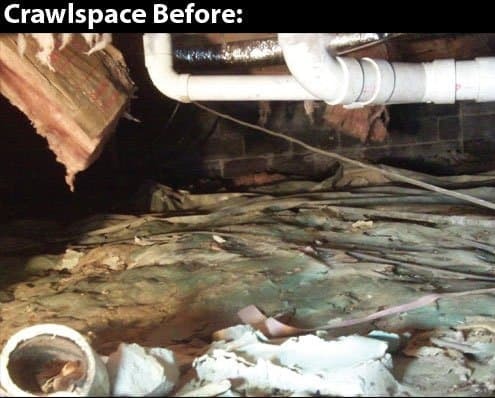 Why Should I Encapsulate My Crawlspace? 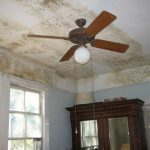 Excess moisture, introduced by way of unsealed, vented crawlspaces, contributes to wood rot, fungi growth and increased pest activity, including infestation and colonization. Moisture in crawlspaces migrates to the upper levels of the home through a “stack effect.” In essence, whatever air is below the house moves inside the house, which carries odors and contributes to poor indoor air quality and uncomfortably high humidity levels. As warm air rises and escapes through the upper levels of the home, new air finds its way into the home to replace what’s been lost. Intake air comes in at the lower levels – through unsealed crawlspaces. means you’ll have a more structurally sound and healthier home. 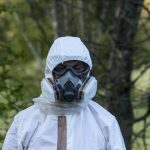 Jenkins Environmental Services has a couple of technicians who are certified in Santa Fe Crawlspace Encapsulation and are always ready to help seal your crawlspace and remove excess moisture. Covering the walls and floors with the CrawlGuard 12 Mil high strength, polyester reinforced, virgin polyethylene crawlspace vapor barrier. This premium liner keeps moisture from seeping into the space and filtering into the living areas. Installing an industry leading Santa Fe Crawlspace Dehumidifier to remove residual humidity in order to keep the crawlspace pest and fungi free. A moisture monitoring system that alerts you to call your pest management professional at the first sign of high humidity levels, giving you 24/7 peace of mind. In some cases, the job may require a sump pump, especially if there has been a history of flooding or standing water in the crawlspace.